Are you planning a wintertime vacation? If so, we hope that it’s at a ski resort! Even if you’re not an avid skier, ask anyone who’s gone before and they will tell you that it’s loads of fun! Not only is skiing an amazing form of exercise, but resorts usually have other indoor and outdoor activities to keep everyone happy and entertained. All you need is the right outfit—OK, a few right outfits—and hopefully, this article will help to inspire you and point you into the right direction. If you already have a grey sweater and some black pants hanging up in your closet, you only need two other things to complete this look: a fur-lined jacket and some red boots. 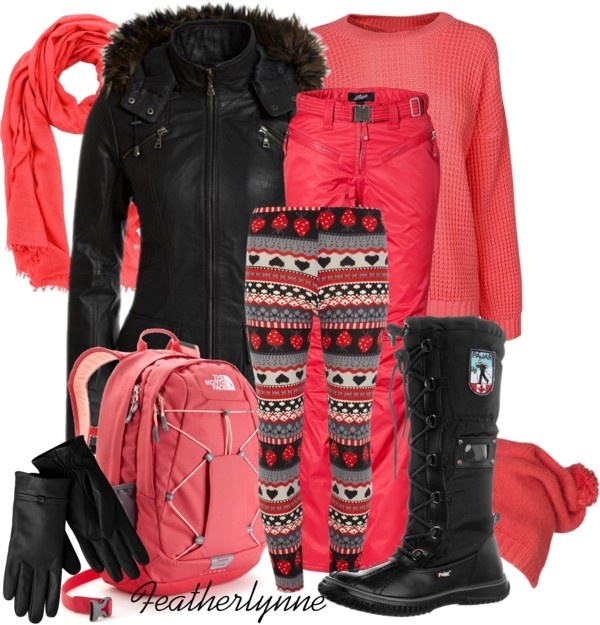 The jacket will help to keep you nice and warm on the slopes and the red boots will add a bit of holiday festiveness to your outfit. What a sweet look for the slopes: purple and cream. Something that is great about this kind of look is it shows that you can pull an outfit together so well if you don’t take on color and use the same hue. It’s better of you go with different shades. In this particular case, violet and lavender. Oh, and make sure to get some cream skinny jeans. You’ll be able to wear them all year-round. Do you have a Christmas sweater like the grey one that’s in this picture? You can make it work with a white long sleeve shirt. 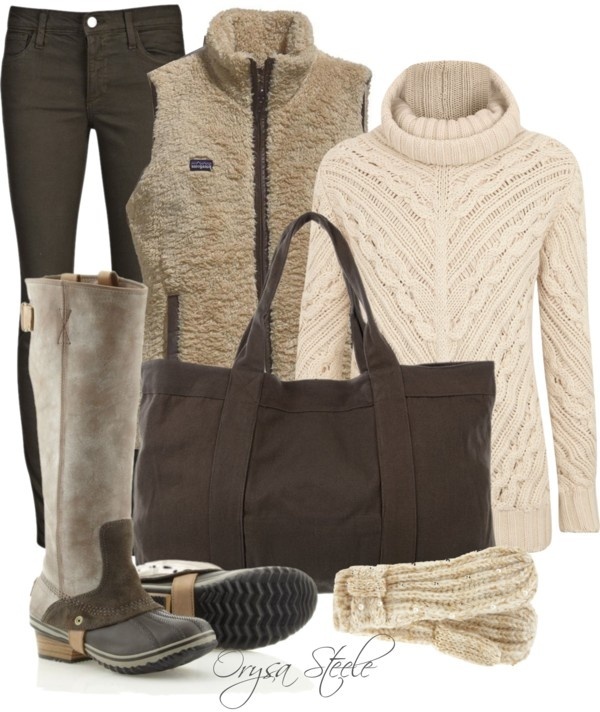 Grey is a good color for pretty much anyone and tan adds a pop of neutral color (as with the scarf and purse). It can also keep the sweater from looking too “little girlie” if you want to appear a bit more mature. Speaking of Christmas sweaters, here’s another way to wear them on your ski trip. Still keep on the jeans but loose the purse and go with a backpack instead (backpacks are a big trend right now and a lot easier to carry around on ski locations). And then add some fur-lined boots. 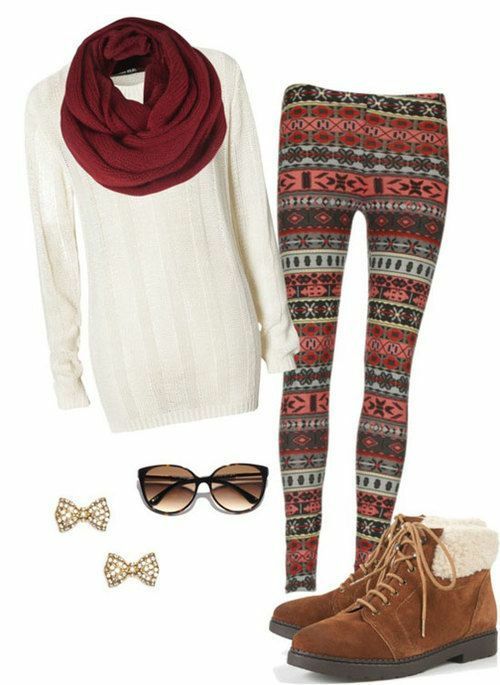 Speaking of leggings, ones with lots of patterns and prints are what you should look for this winter season. Something that we really like about them, even more than pants, is they are the best way to make ankle boots work without the bottom of what you’re wearing hanging out over the top of your shoes. For the past couple of seasons, Aztec prints have been making their way into fashion trends. This winter is certainly no exception. For this season, look for a big multi-color Aztec cover-up. It will keep you so warm that probably all that you’ll need to put under it is a tank top. Stormy weather is basically a fashionable way to say “grey”. 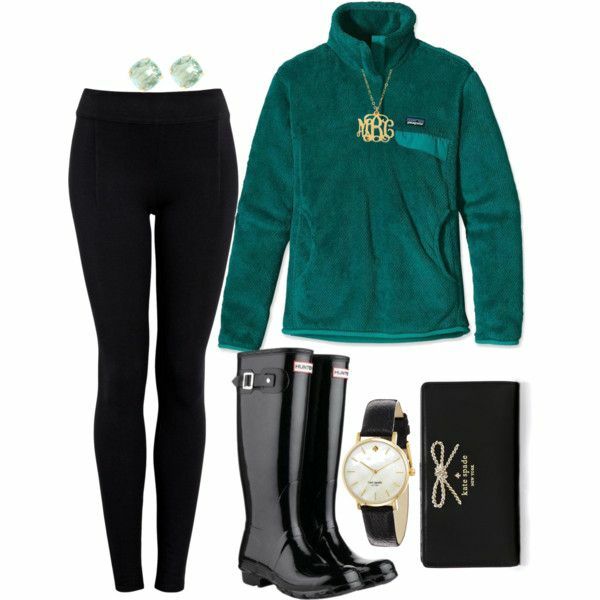 And since it’s such a popular hue this winter, we thought we’d show you how to incorporate it into an outfit. With black and white, you’ll look absolutely perfect. Got your favorite pair of distressed jeans hanging on the back of your bedroom chair? If so, pack them along with a faux fur quilted vest (another popular wintertime trend this season) and a turtleneck that has the same colors in it as your vest. Does the thought of wearing real fur kind of give you the creeps? That’s OK. There is plenty of faux fur to go around and it will be ideal for a bomber jacket that’s similar to this one. The gold studs on the sweatshirt keeps it from looking too…bland (plus it goes great with that gold-studded bag). And ear muffs? Well, you’ll be able to stay outside even long with a pair of those helping to cover you up! Neon is in! So, don’t shy away from wearing it this winter. 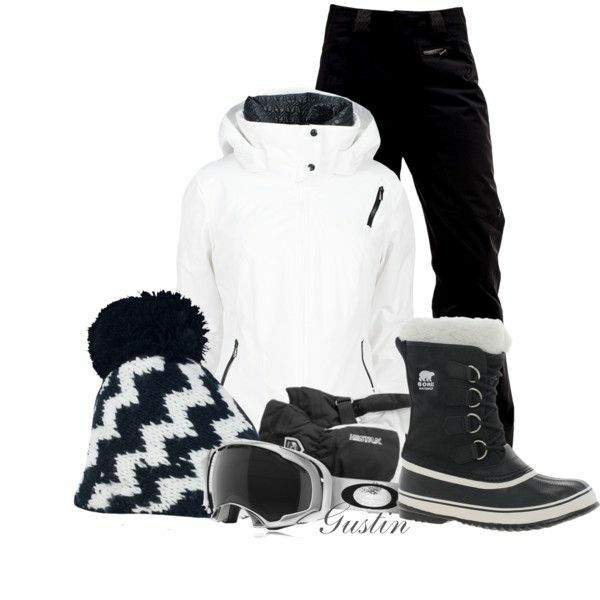 Look at it this way: It’s a surefire way for people to be able to spot you while you’re out on the slopes! One way to not be too over the top is to wear black or white along with it. Our recommendation is to go with neon ski pants and/or a neon jacket. 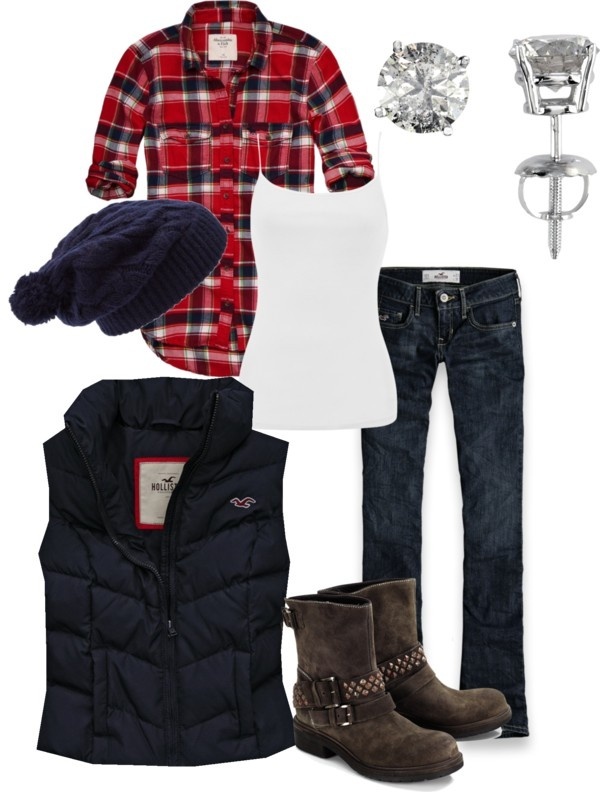 This is a simple and clean kind of classic winter outfit. Something that you can do to keep from appearing too boring or bland is to add a pattern or print into the mix. Like a plaid or herringbone purse, for instance. 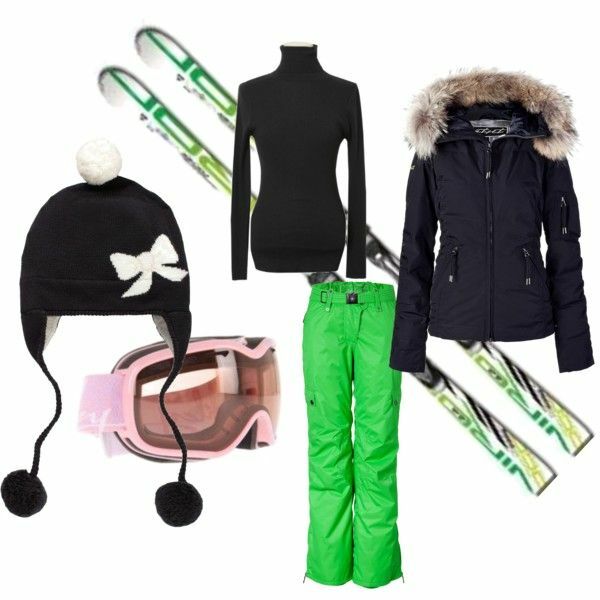 This says “I ski by day and dine by night.” If you have a dinner date schedule for your ski trip, you can still wear the ski theme while adding a bit of femininity to your overall look. You can do that by making sure your jeans are dark denim and fit well. Then put on a turtleneck that hugs your curves along with a long real or faux fur vest. If you’re going to go with all neutrals, make sure to add something like maroon to add some color and don’t forget a pair of gold or silver hoops. It’s bright. Darn near loud. And we absolutely love it! Everything about this outfit, actually! Our tip is to buy fleece leggings and to get the kind of scarf that is made out of material like organic cotton. That way, you can wear it during the spring and following fall too. 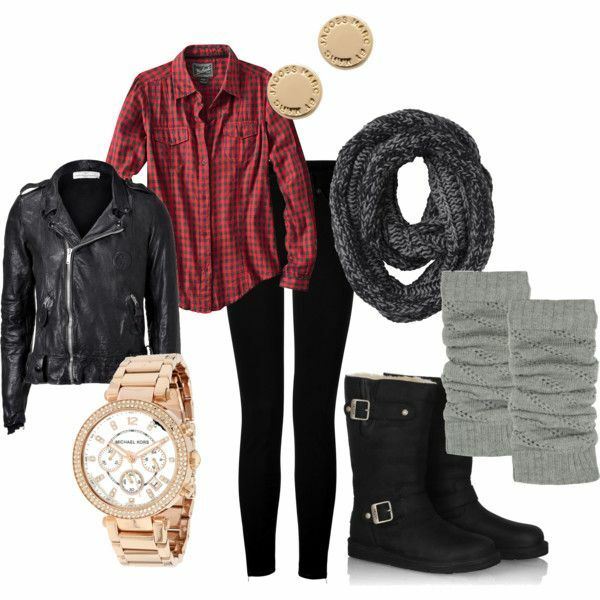 If you’re someone who can easily wear red and black at least five days out of the week, here’s how you can “break it up” a bit. Put on some grey accessories and when it comes to your jewelry, while you could go with silver, try yellow gold instead. It tends to stand out more with this type of color combination. Plaid is in, so we had to include it. And we’re pretty sure that you already have at least one plaid shirt. But if you don’t, ask your dad, brother or even better your boyfriend if you can borrow a couple of theirs. Then put a quilted vest on top of it. Don’t forget a knit hat to protect your hair from the falling snow. 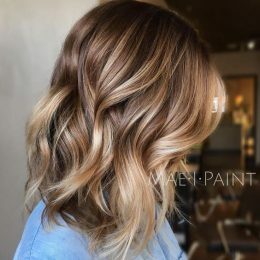 We like taupe a lot because it’s a version of brown that’s soft-looking. It goes extremely well with cognac; especially cognac leather. When it comes to getting leather accessories, try your best to buy them all from the same place. That gives you a better chance of finding pieces that are basically all the same shade. Is black and white your favorite color combo? Then you probably smiled, big time, when you saw this, right? 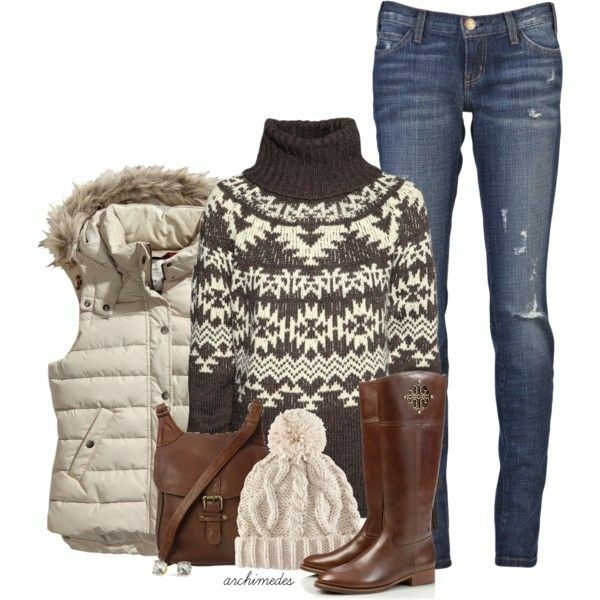 Our favorite part is the black-and-white Chevron knit hat with the pom-pom on top. Oh, and the ski goggles. Emerald green is a wonderful Christmastime color. If it comes in the form of a fleece pullover, it’s also another thing that you can wear on a ski trip. And galoshes are a unique yet practical twist to regular walking or hiking boots.